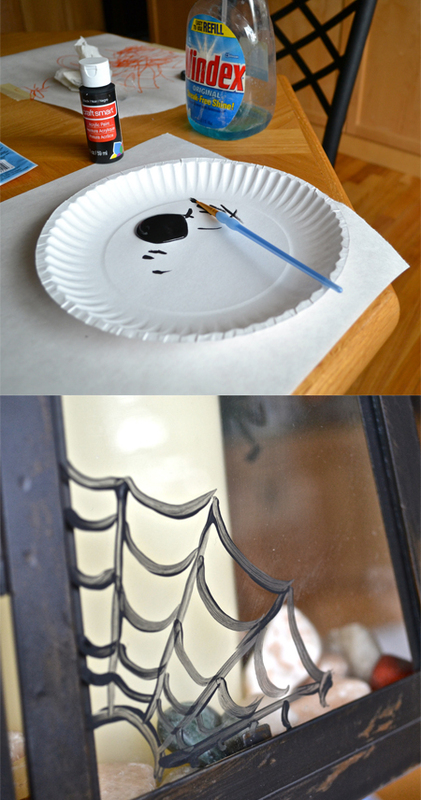 I've seen some great glass painting projects on the web lately. 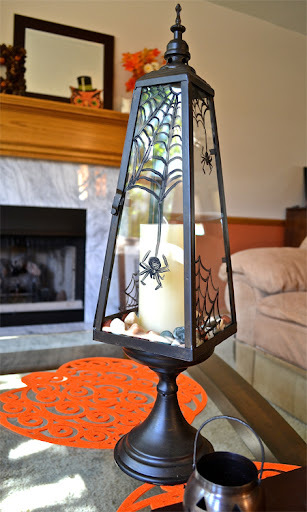 After a little research on how it is done, I decided that I wanted to give a spooky update to the lantern I bought last Spring. I was going to be more ambitious and do our front windows, but I'm afraid that will have to wait until next year. My poor little air plant bit the dust a few weeks ago. Turns out, that if you go a couple of days too long and forget to water it, it will shrivel up and die. Sad. 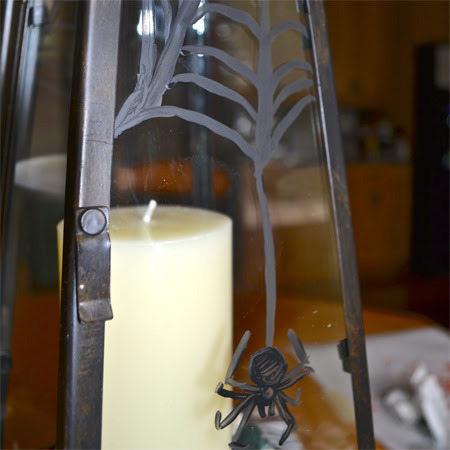 First, I cleaned the glass on the lantern. Then I got out some black, water-based, acrylic paint and a thin Golden Taklon brush and set to work. Half way through my first web, I decided that I didn't like how it was going. So, I just used some glass cleaner and wiped the paint right off of the glass. Apparently, when the season is over, all that I'll need to do is soak the paint with water and then use a credit card to scrape it from the glass. I hope it works as well as it is supposed to.